will also be available in hybrid form. Using this technology the new Malibu Hybrid promises to deliver an estimated 5.2L/100km, which is more fuel-efficient than Ford Fusion, Toyota Camry and Hyundai Sonata hybrid variants. The hybrid will be powered by an all-new direct-injection 1.8L four-cylinder engine mated to a two-motor drive unit, a slightly modified version of the hyrid powertrain found in the 2016 Volt. The two-motor system will also provide additional power to assist during acceleration and, combined, the car will produce 182hp. An 80-cell 1.5KwH Lithium-Ion battery pack provides power to the Hybrid system. In fact, the new Hybrid will be able to travel up to 88kp/h on electricity alone. The gasoline engine will automatically kick-in at higher speeds or when more power is needed low-down. 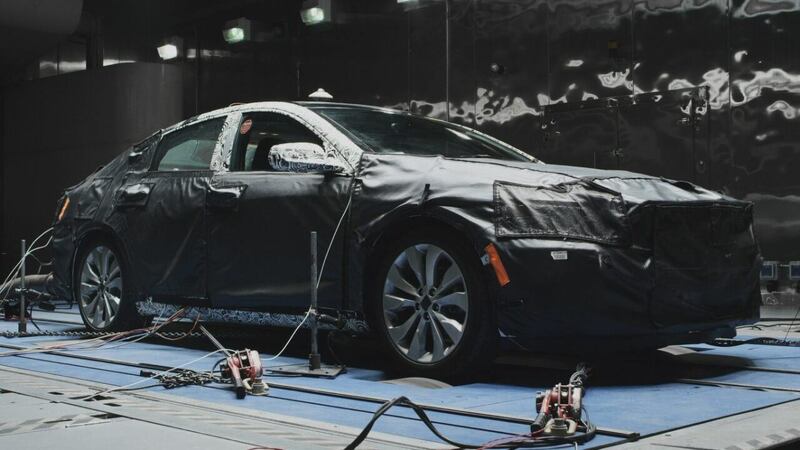 “Besides leveraging innovation from the Chevrolet Volt, the Malibu Hybrid also has unique features that help improve aerodynamics, like upper and lower grille air shutters to improve airflow and a reduced ride height, all of which help reduce fuel consumption,” he said. Other than the drive-unit itself, the 2016 Volt also shares its power electronics and blended regenerative braking system with the ’16 Malibu Hybrid. Re-gen braking recovers kinetic energy during braking and stores it in the battery pack to maintain its charge. Without re-gen, the latent energy of braking is lost. The Malibu Hybrid will be manufactured in Kansas City at the Fairfax Assembly plant, using globally sourced parts. It is due in Chevrolet dealer showrooms in spring 2016.